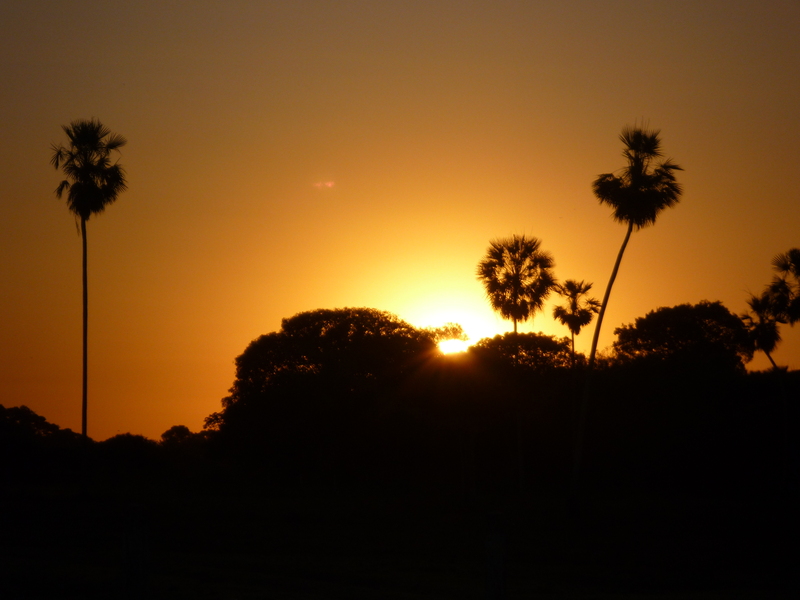 Outback escapades – Pantanal, Brazil | Information...Super, Flyaway! If you’re a regular to my posts you will have heard me mention my 6-month travels around South America in 2010. The first 3 weeks of the trip were spent in Brazil and primarily in city-scapes – Rio, Sao Pàulo. 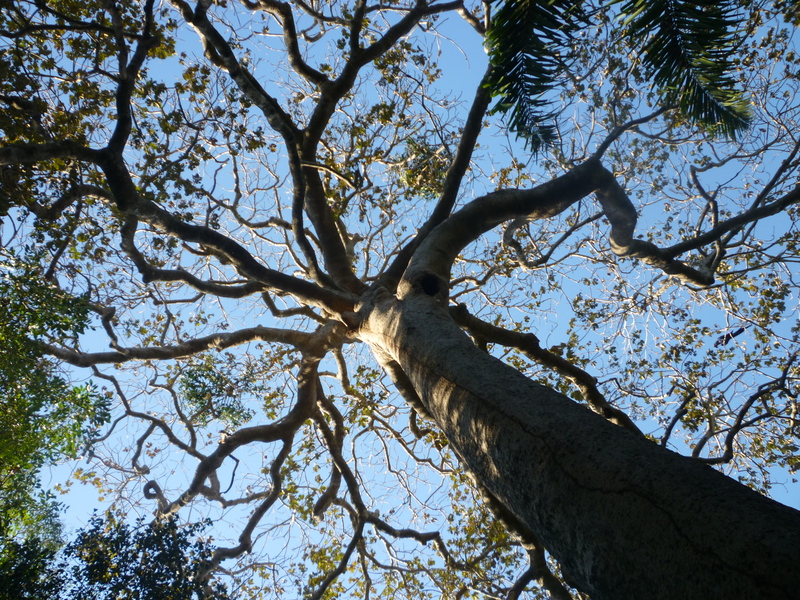 The cities of Brazil are vibrant urban jungles but I was eager to get into the wilderness and use my walking boots; to do what I personally termed ‘real travelling’. 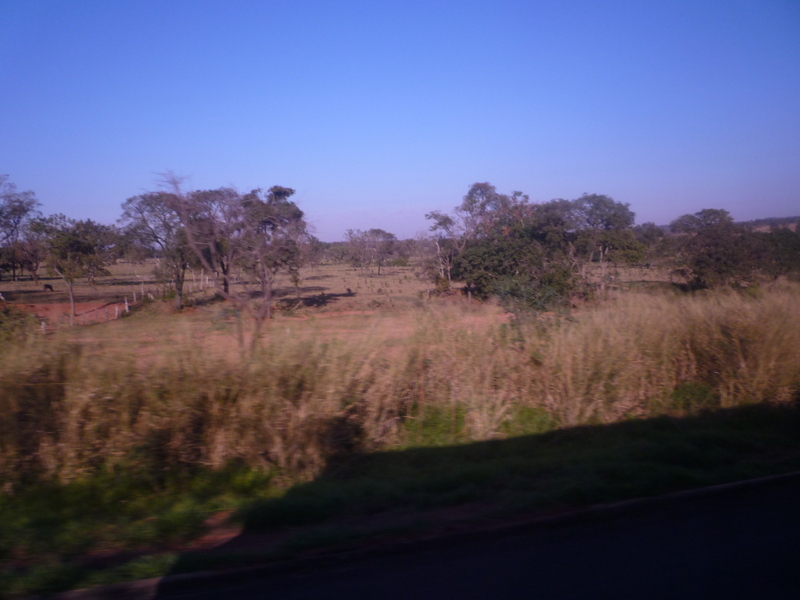 So, leaving the South East region, I hopped a bus out to the Brazilian version of the outback – the Pantanal. 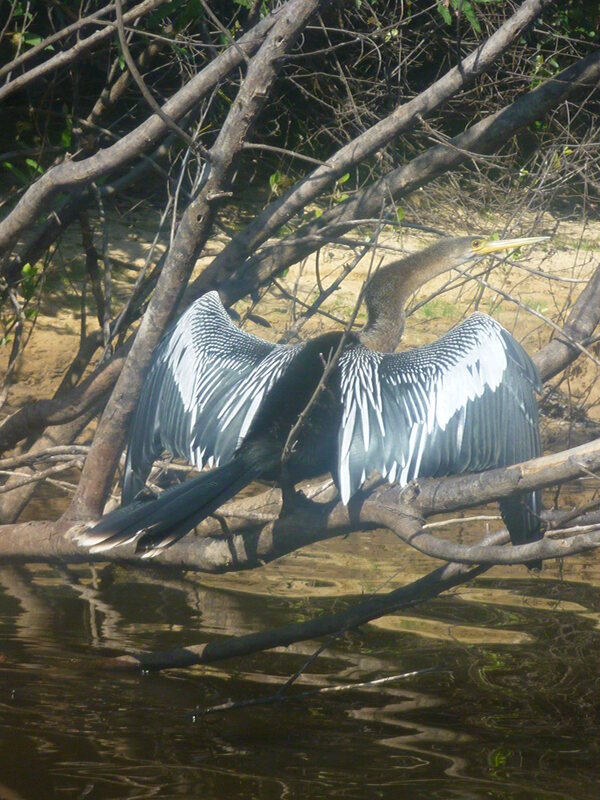 The Pantanal is one of the world’s largest areas of tropical wetland and is a UNESCO World Heritage Site. It is so large it covers an area approximately 200,000 square miles and stretches into Bolivia and Paraguay. 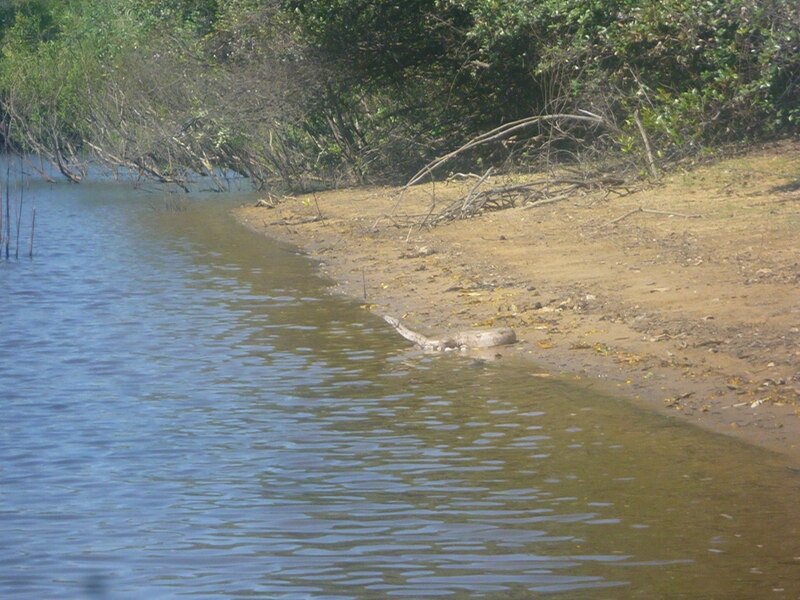 During the rainy season (November – March), most of the area floods with water which makes for incredibly diverse eco-systems. I visited the area in the dry season (July) when there are vast swathes of land to trek – perfect to test my walking boots. 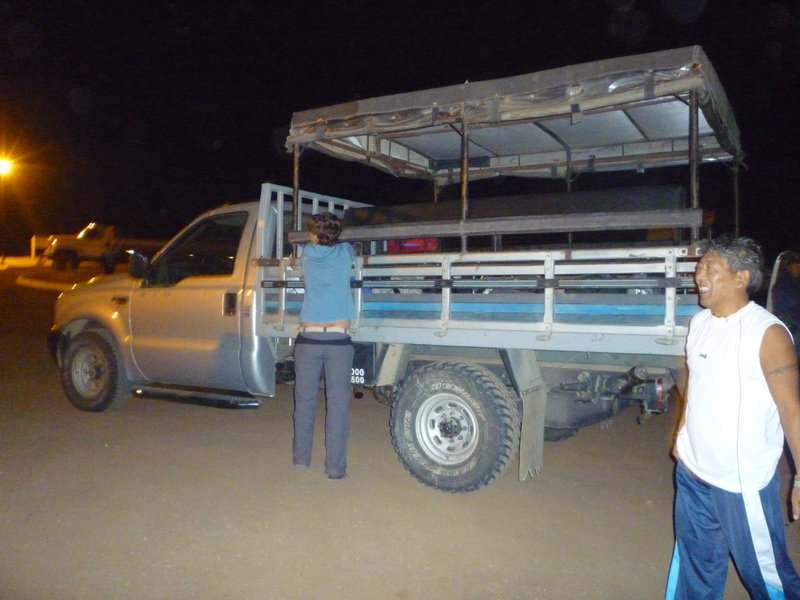 To get to the Pantanal I left Sao Pàulo late in the evening on a bus, experiencing the usual randomness of travel that occurs in South America – stopping along the way, dropping people off in what looked to be the middle of nowhere in the middle of the night. At one stage we hit roadworks on a massive stretch of road and had to wait an hour before the cars from the other direction could get through. 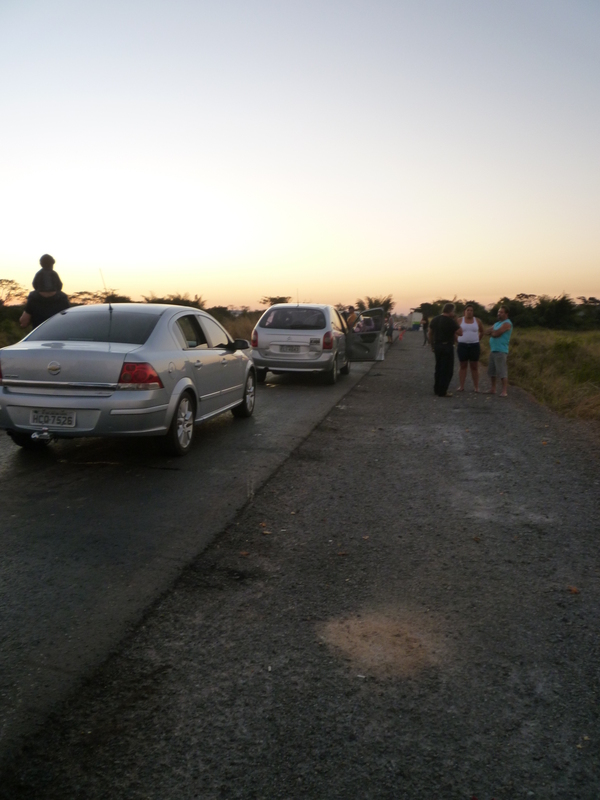 People were getting out of their cars and chatting on the side of the road. 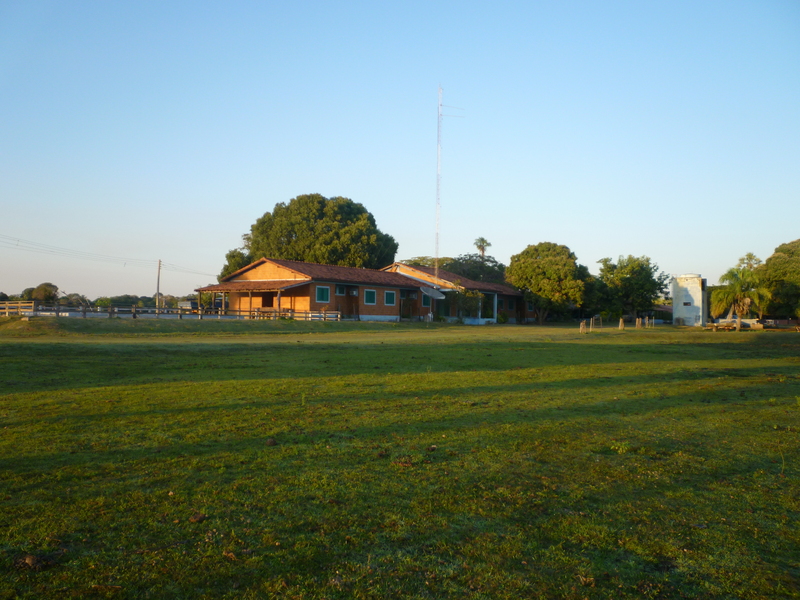 We rolled into Campo Grande, one of the towns that acts as a starting point for Pantanal trips, at around midday the following day. I had booked my tour on the internet prior to leaving Sao Pàulo, using a recommended company from a fellow traveller. However, due to the roadworks I had missed my tour which left at half past ten. A Dutch couple on the same bus had also missed the tour group, so the company offered to drive us out to the Pantanal especially (for a little petrol money). So after a 14 hour bus from Sao Pàulo, the three of us then completed two and a half hours on a minibus, two hours on a different minibus, and one and a half hours on a 4×4 jeep across rough terrain. Tiring didn’t begin to describe it. 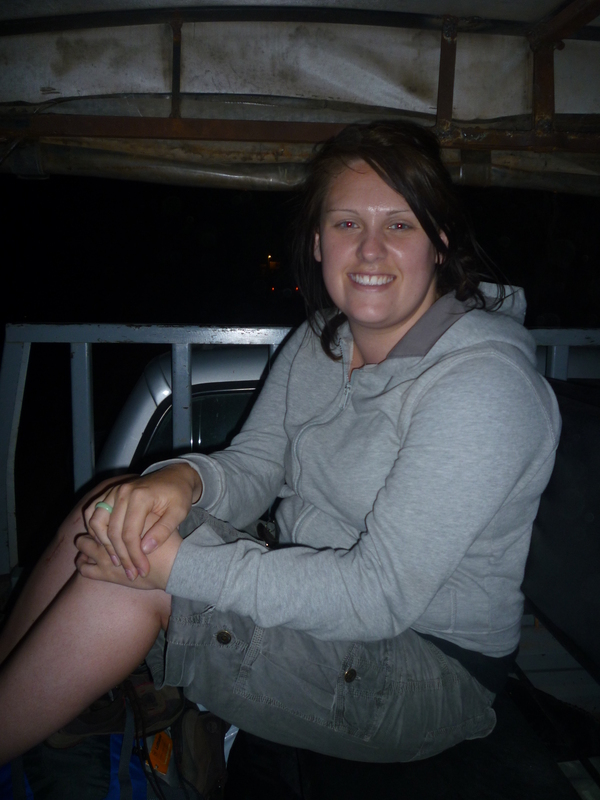 The minibus journeys were pretty uneventful but the 4×4 Jeep looked to be quite exciting. It was an open sided Jeep, with canvas roof and hard wooden bench seats. At first I loved it because the air was warm and the scenery at sunset and by moonlight was incredible – like I imagine African landscape to be, with far-reaching plains and tall trees. But after one and a half hours of trying not to swallow bugs the size of small birds and I was ready to get off! We were introduced to our guide Gabriel and the rest of our tour group, a friendly group of people in their 20s and 30s. But there was no rest for us, as Gabriel announced that we would be going out on a night hike. We put on long trousers and hiking boots before we set off walking in the moonlight. 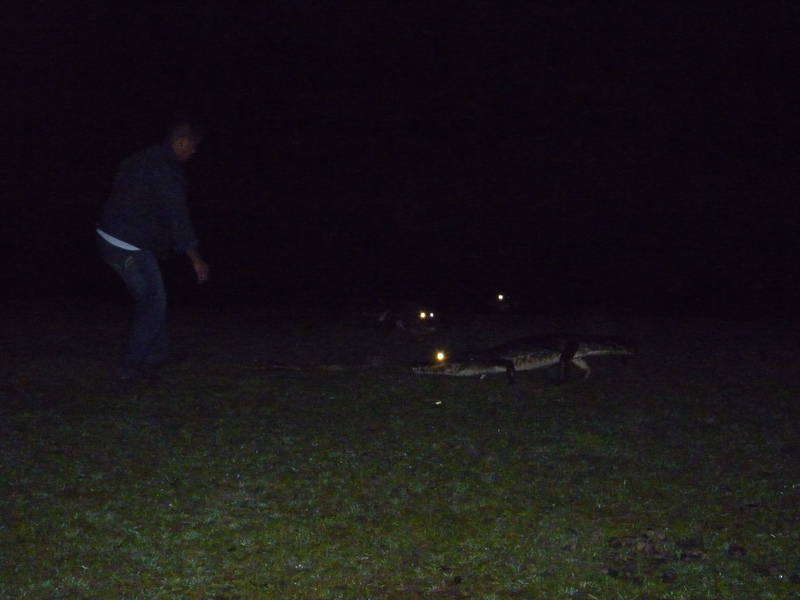 It was nerve-wracking walking around in the dark – there were huge spiders on webs in the trees and the cayman (small ancestors of alligators) were out of the lakes, laying on the grass. You could see their eyes shining in the dark. 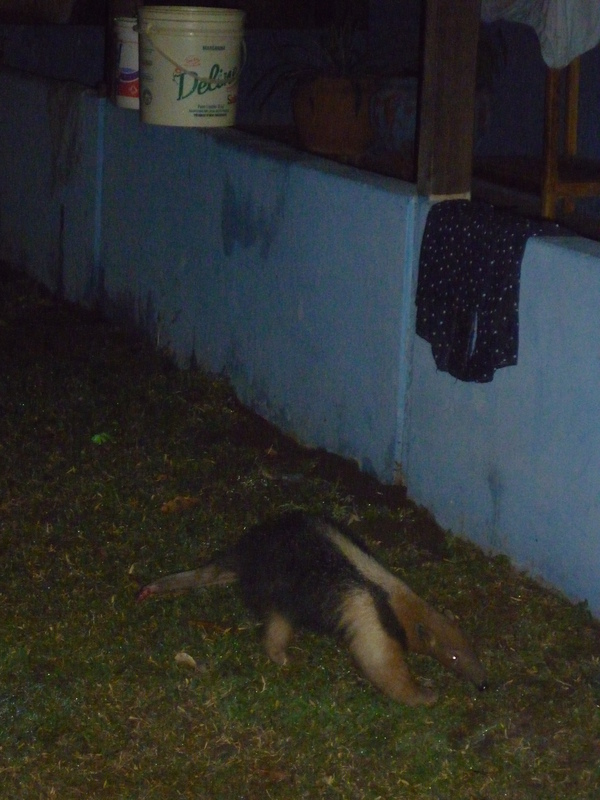 But I was happy to come across a cute anteater outside my dorm room! 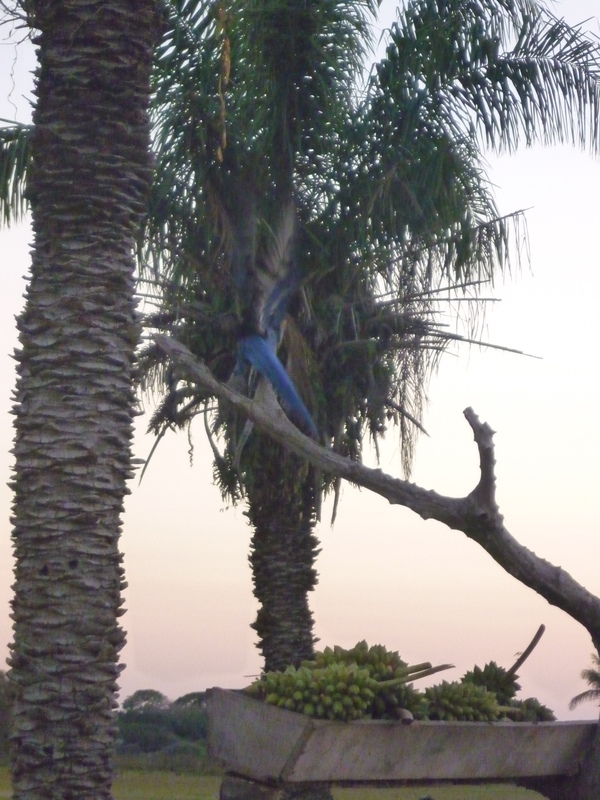 The next day, at Gabriel’s suggestion, we woke at sunrise to watch the macaws feeding – they were a brilliant dark blue colour and really, really noisy but incredible to watch so closely. 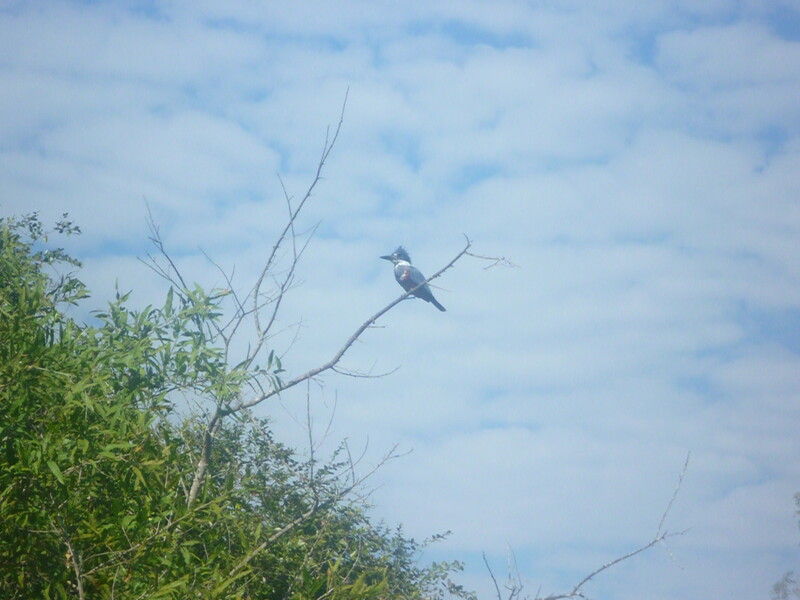 We then went on a 4 hour hike, seeing a host of wildlife, including monkeys, raccoons, boar, and loads of tropical birds (heron, flamingo, jabaru, parakeets). 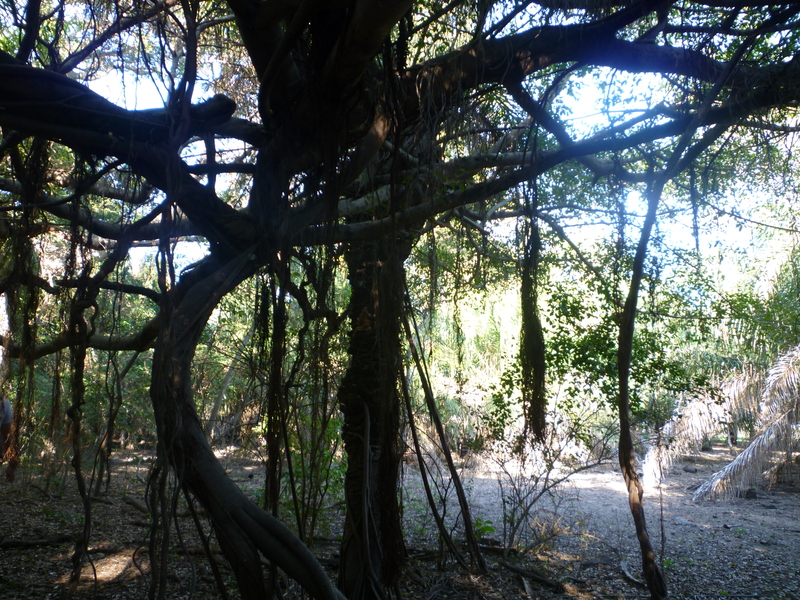 Gabriel took us through such a variety of landscape, from dense trees and undergrowth to wide open wet lands, telling fascinating stories about the foliage and birds nesting habits. We were encouraged to get into nature and walk barefoot through muddy water up to our knees – following Gabriel’s barefoot example. 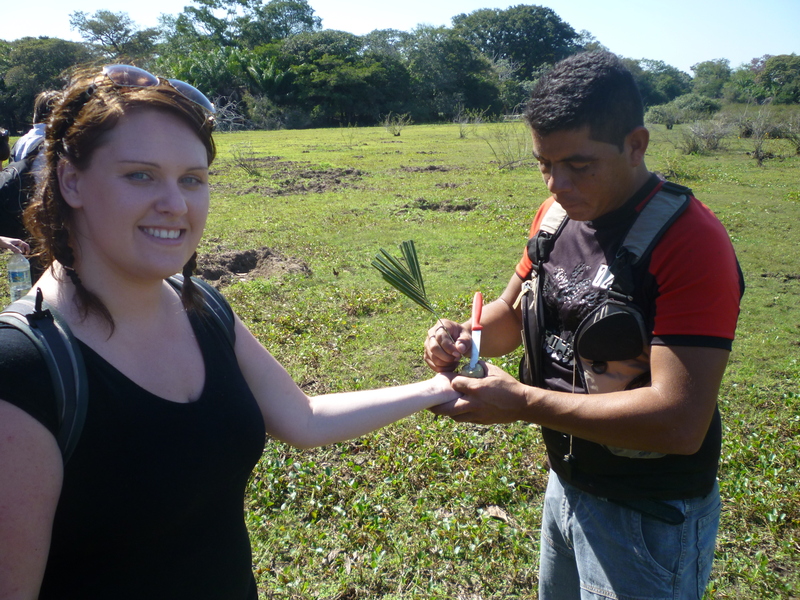 Gabriel stopped in front of a fruit tree and plucked a small plum-sized fruit, telling us that the juice is like a temporary tattooing agent – like henna – so he cut it open and drew small tattoos on us. 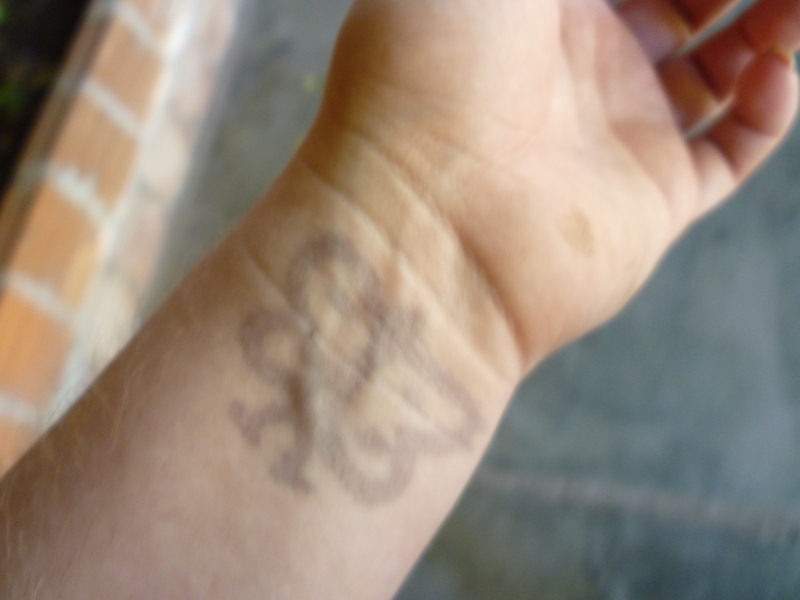 Mine was a butterfly – and god bless him, Gabriel is a great guide but an artist he isn’t! I was glad when it wore off because I didn’t want to be stuck with it for life! 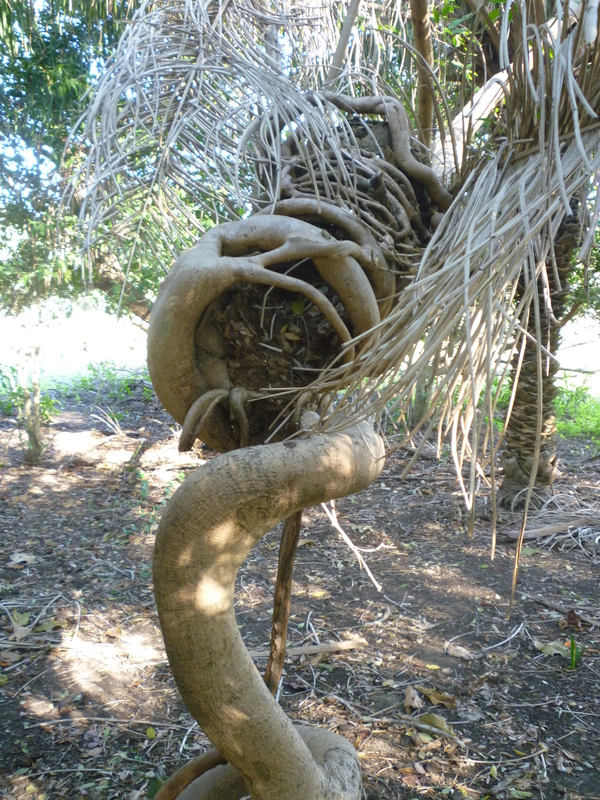 As we were walking through a section of thick undergrowth, two girls on our tour started shouting in pain – they had been stung by a huge black insect that looked like a beetle. The younger girl was stung on the hand and the older woman had it go down her top and it stung her just under her breast (very unfortunate). Gabriel told them not to panic – he took the young girl’s hand, reached behind him, and pulled out his massive machete!! This was one of the funniest moments on the trip because the girl thought he was going to chop off her hand! 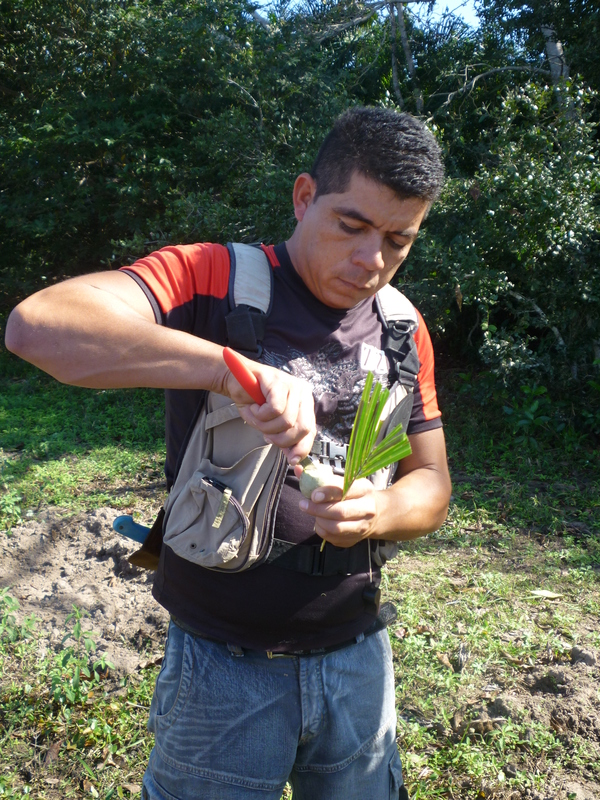 But Gabriel used the machete to mark the bite (which was swelling rapidly) with a cross and then cut into a nearby tree and spread some of the sap on the bite. It stopped the pain and the swelling went down, acting as a natural anaesthetic. The other woman had the same treatment for her bite, but we gave her some privacy for that! 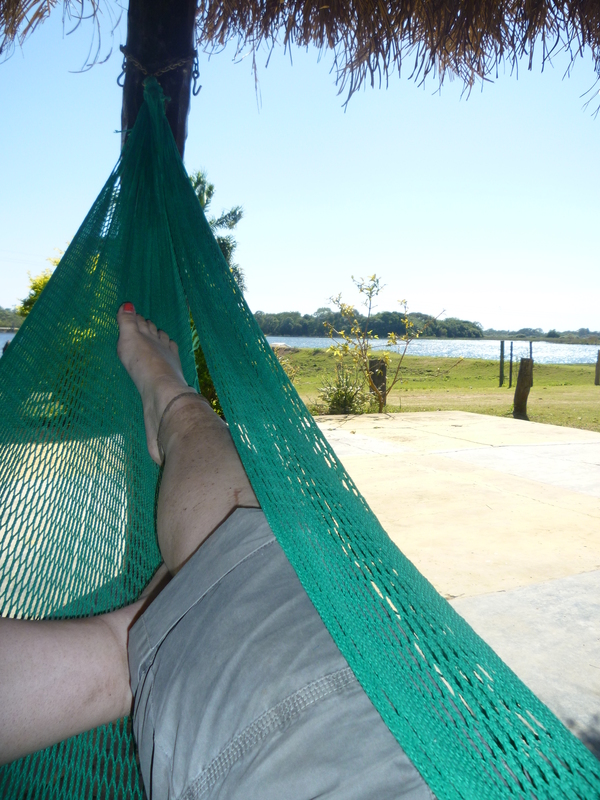 The lodge we were staying at was absolutely beautiful – like a farm house with out-buildings, stables, a lake and gorgeous verandas with hammocks. 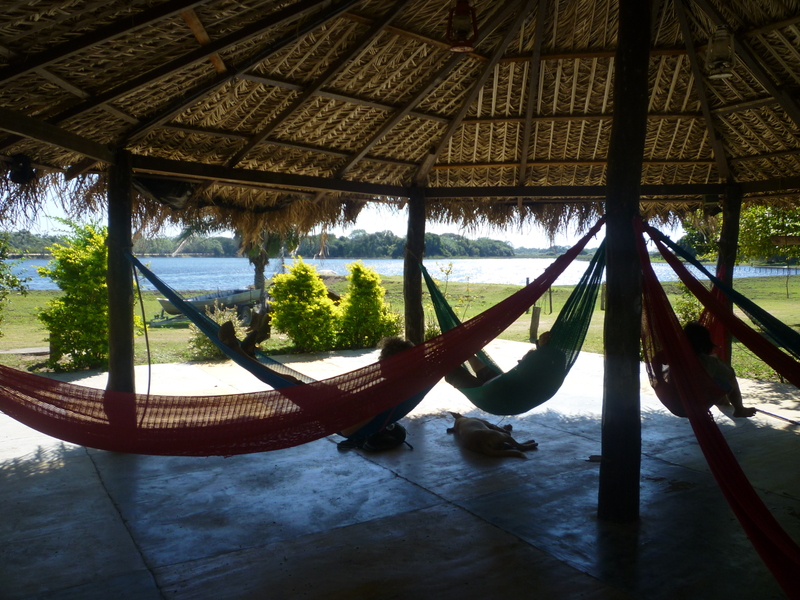 We spent much time relaxing in those hammocks. 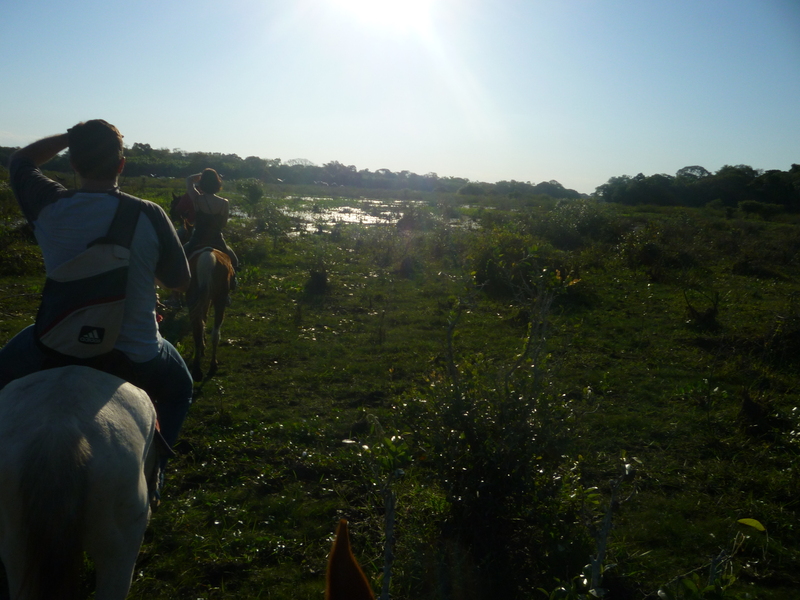 Following lunch back at the lodge we were all given horses and went riding through the Pantanal for the afternoon. 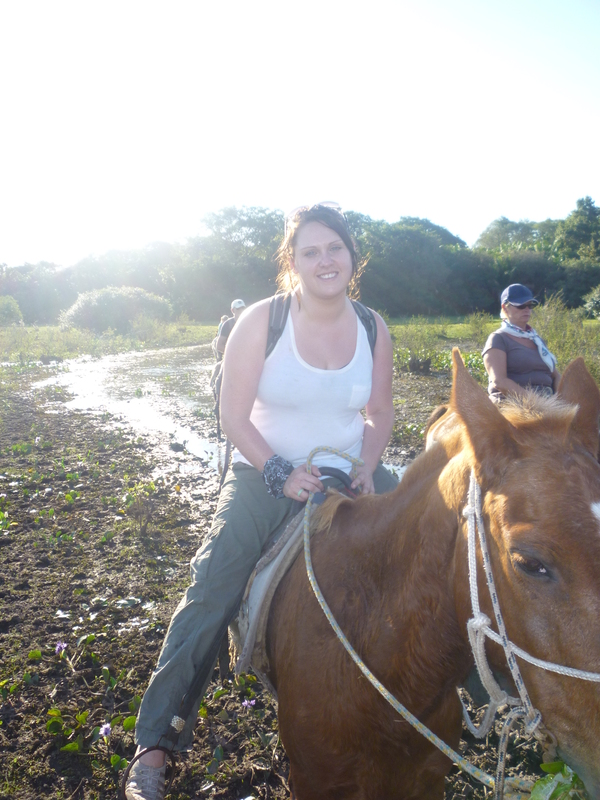 I really enjoyed this part, as we covered a lot of ground and the horses were beautiful. 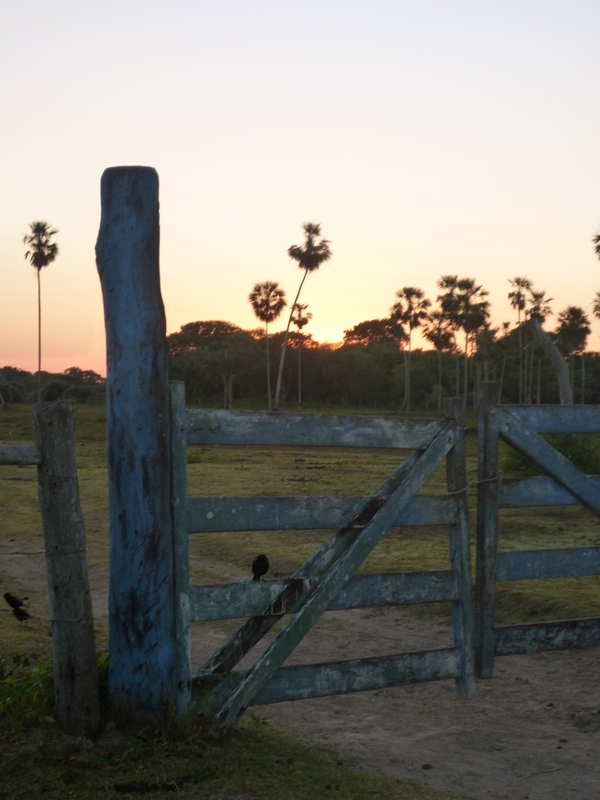 The only drawback to riding in the Pantanal is that the horses tend to scare a lot of the animals away, but you still see lots of birds and tropical plants. 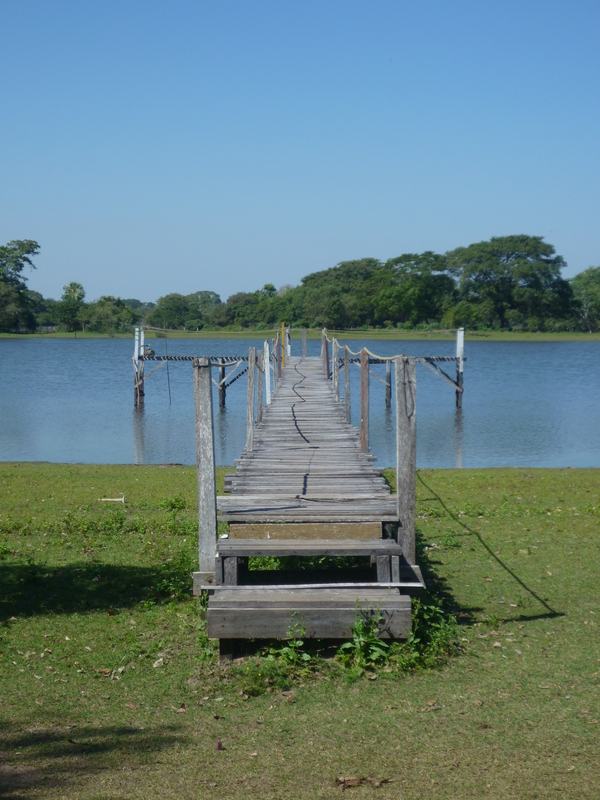 Later that afternoon, Gabriel took myself and one of the other couples out onto the lake to do some piranha fishing. 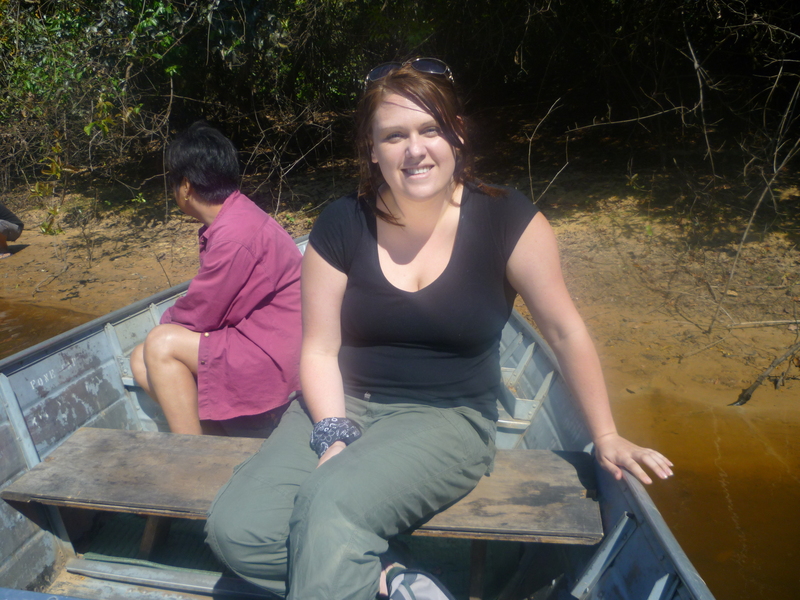 The boat was like a tiny tin can and we had these huge rods made from sticks of bamboo. 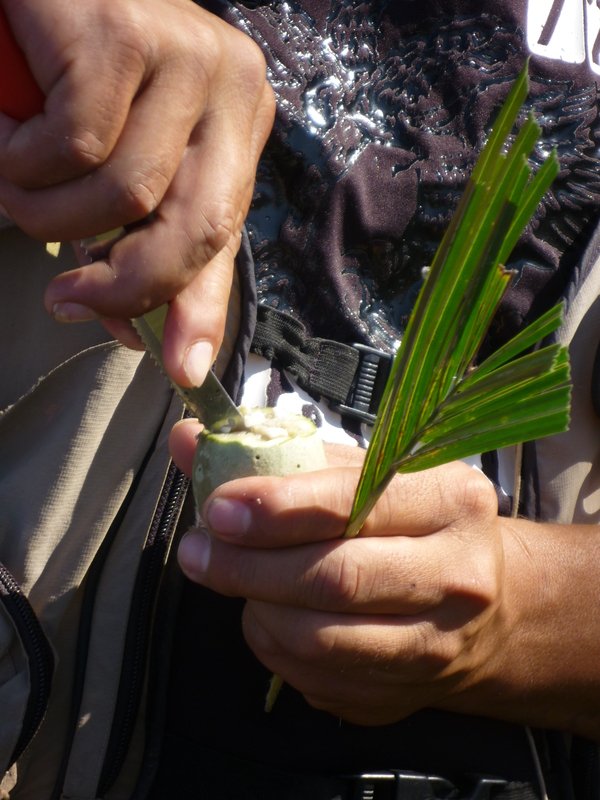 Gabriel used meat as our bait and we hooked the pieces onto our lines and swung the rods into the water. 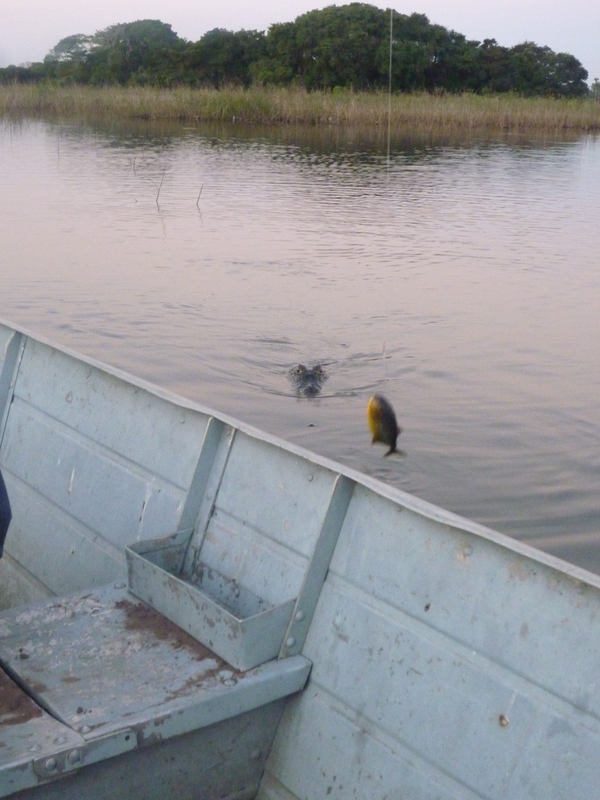 Literally the second the meat touched the water, one of us had caught a piranha – they are incredibly fast! Many times they managed to get away with our bait before we even realised – you have to yank the pole out of the water really fast to keep them hooked. 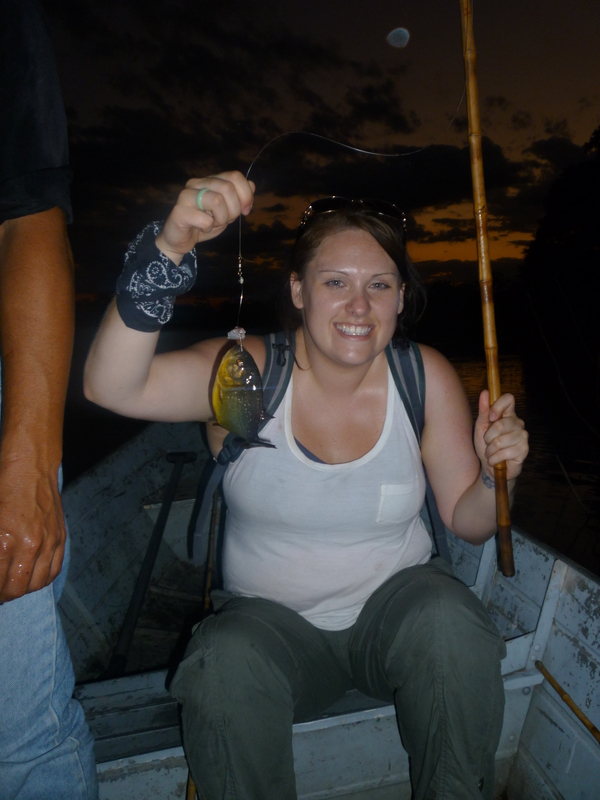 This meant that we were all wildly swinging our poles around and narrowly missing each others faces with either empty hooks or freshly-caught piranhas! A cayman after our fish! As the sun fell, more and more bugs appeared around us and this in turn brought out the bats, who were chasing the bugs. 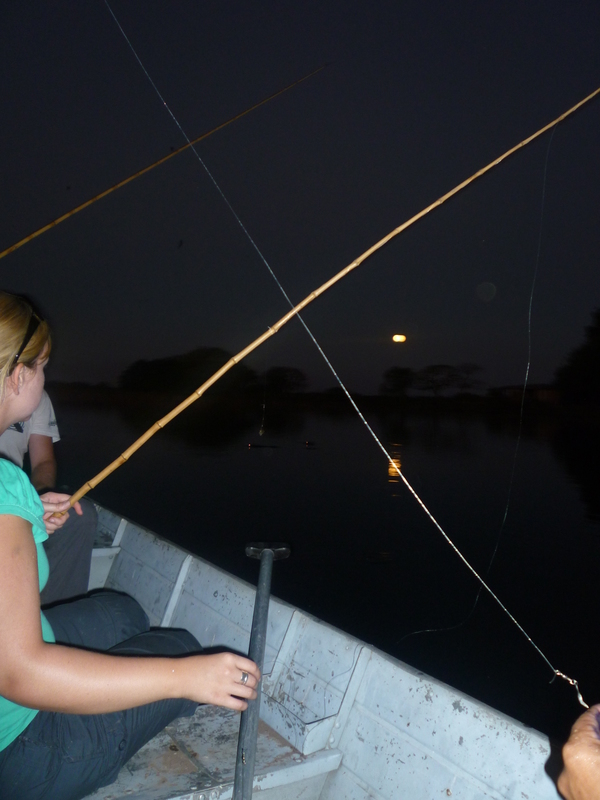 The bats were swooping so low that we kept hitting them with the fishing poles! We were also surrounded by caymen, who were sitting in the water watching us fish their dinner! We drank a few cans of beer while all of this was happening, which just added to the general madness of it all. 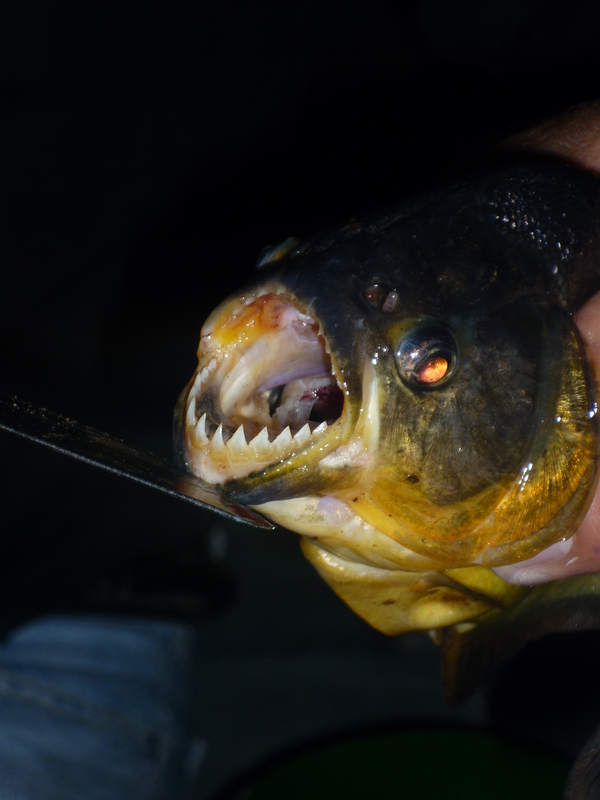 That night Gabriel gutted and cooked up the piranha for our dinner – they’re reasonably tasty fish but there’s not a lot of meat on them. The next morning we were piled into the Jeep and taken down to a river for a boat ride in the sun. 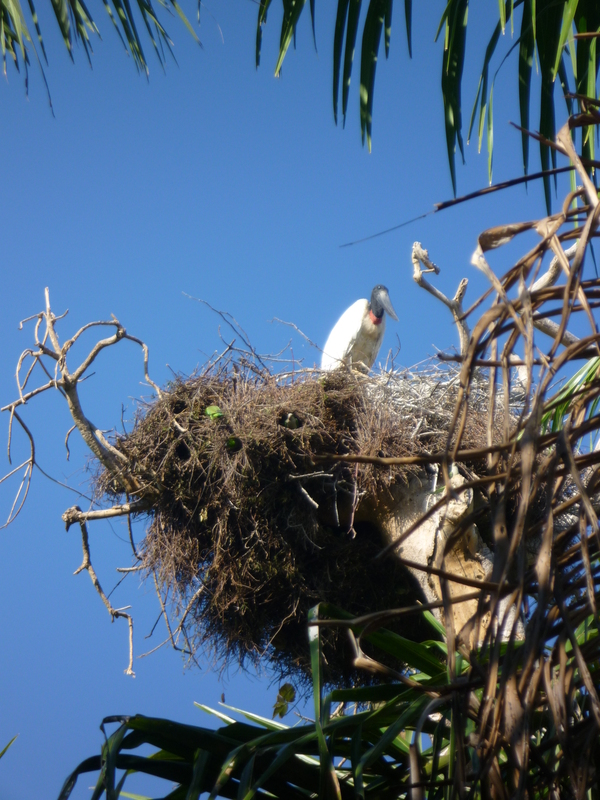 The river birds were out in force – kingfishers, toucans, and heron. 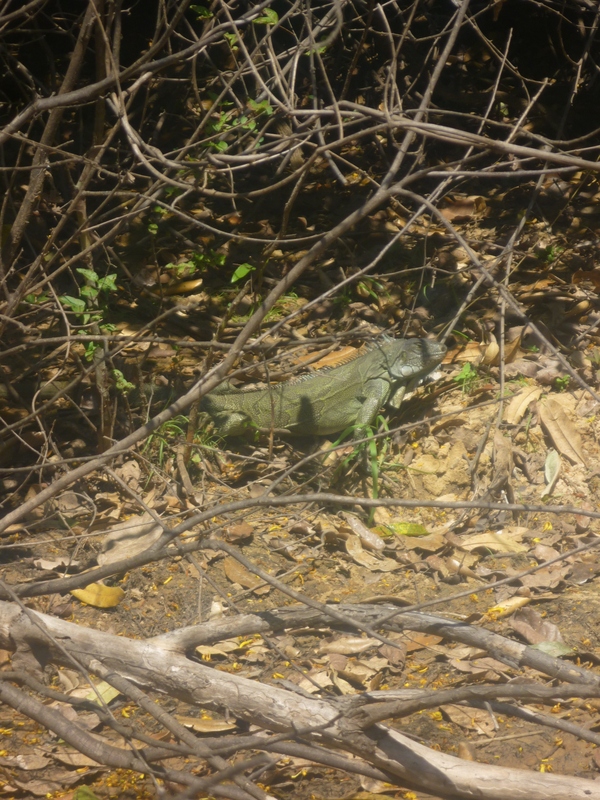 We also saw a boa constrictor and some iguana sunning themselves on the banks. Too soon it was over and we were on our way back to Campo Grande – our Pantanal experience was over. If you are an animal lover, this trip would definitely be for you – the guides are absolutely wonderful with their knowledge of the ecosystems and you will come away with some David Attenborough-worthy facts! 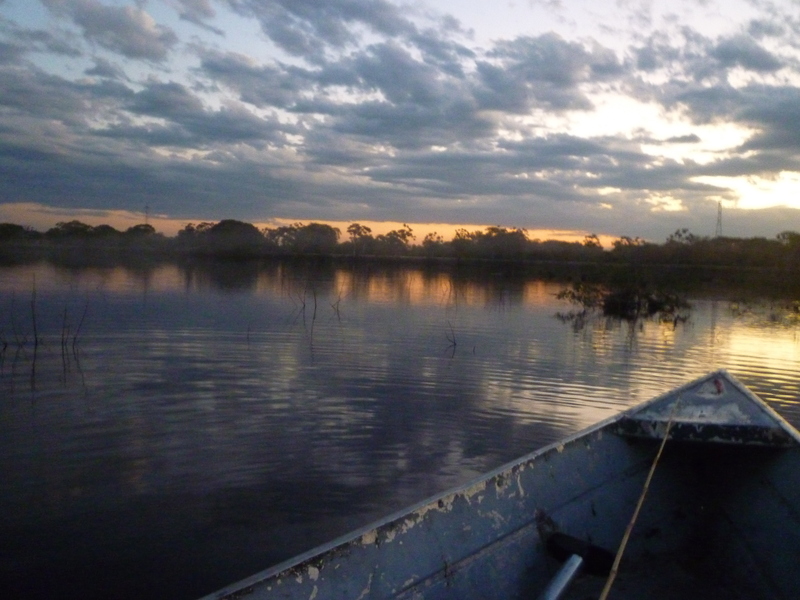 Visiting the Pantanal soon? Feel free to ask if you’re curious about anything!